Ronald McDonald House Charities® of Central Illinois is here to serve and sustain families when catastrophe strikes the most cherished part of their lives – their children. A campaign to begin the House started in 1982 after research showed that an average of 45 children from outside of Springfield were being admitted to Springfield hospitals each day. In 1984, a capital campaign began, followed by a groundbreaking in 1985. Ronald McDonald House Charities of Central Illinois officially opened its doors in Springfield on February 15, 1986. In 1974 when the daughter of Philadelphia Eagles’ tight end Fred Hill was diagnosed with leukemia, he and his wife soon discovered the difficulties faced by families of sick children. They spent sleepless nights on hospital chairs and ate vending machine meals. They also met many other families who faced similar situations: they had traveled long distances to bring their children to a medical facility, but couldn’t afford a hotel room. 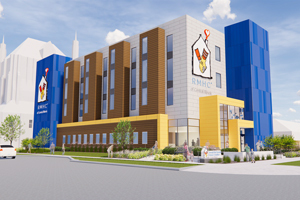 The Hill’s joined with the Eagles’ general manager, Jim Murray, and Dr. Audrey Evans, head of the pediatric oncology unit at Children’s Hospital of Philadelphia, and together they created the first Ronald McDonald House. That first Ronald McDonald House opened in Philadelphia in 1974. Today there are more than 300 houses in 30 countries around the world. On March 7, 2014, RMHCCI launched its “Labor of Love” campaign to expand and renovate the Ronald McDonald House for the first-ever total remodel of the House since opening in 1986. 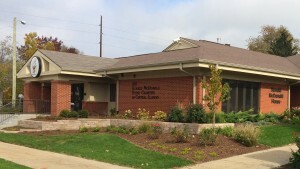 The construction was completed in mid-October and the House re-opened to families on October 17, 2014.